Designed for use with multiple species of bacteria. No autoclave needed. 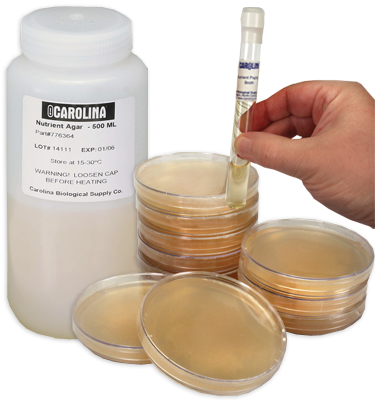 This amount is sufficient for pouring up to 5 plates or 15 to 20 tubes. Each bottle of bacteriological medium contains 125 mL of ready-to-use material. The bottle is sealed to prevent contamination and drying. Prepared Media Bottles are 100% Satisfaction Guaranteed.